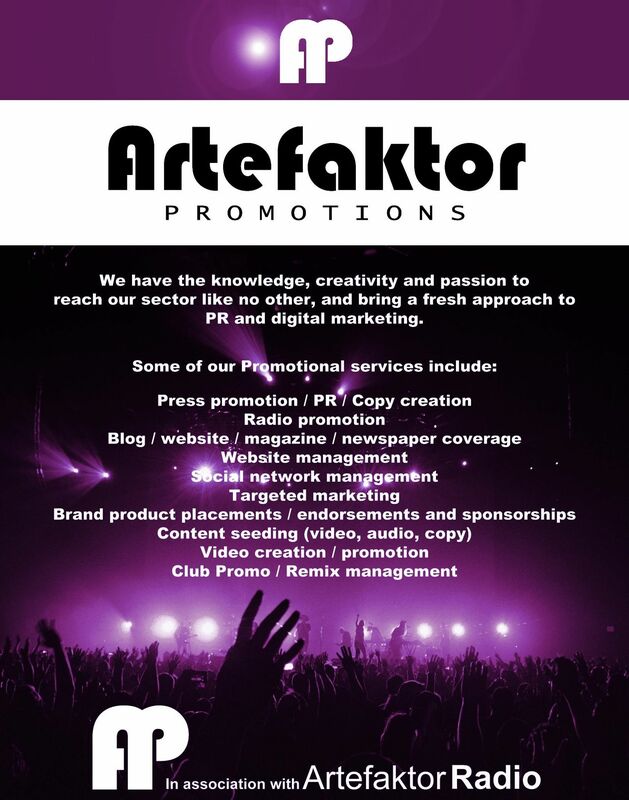 Artefaktor Promotions are a newly established music promotion agency. In association with Artefaktor Radio, they have already established great links within the music community. Dealing on a daily basis with musicians and DJs from all around the world. With a wealth of experience, their dedicated in-house team can take your music career forward. We have various different affordable packages.